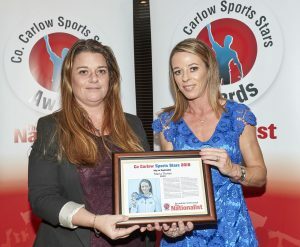 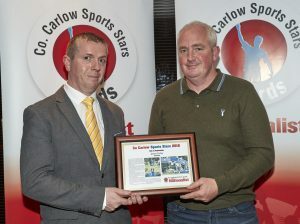 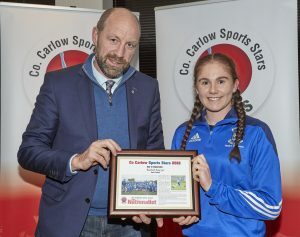 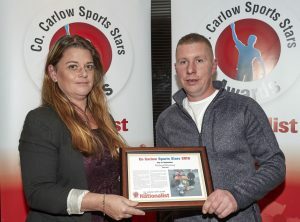 A HUGE crowd gathered at the Talbot Hotel for the third Co Carlow Sports Stars quarterly awards ceremony for 2018 with 15 awards handed out in recognition of fantastic sporting performances by Carlow people over the course of the past three months. 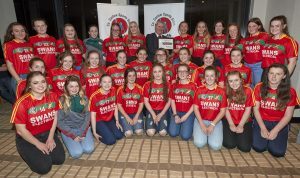 By far the largest group were the Carlow under-16 camogie team who came en masse to celebrate their win in the All-Ireland C camogie championship. 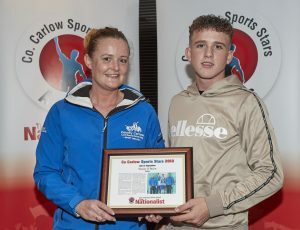 They weren’t the only team honoured on the night with the Carlow Hunt Pony Club dressage team taking home an award after their recent All-Ireland victory. 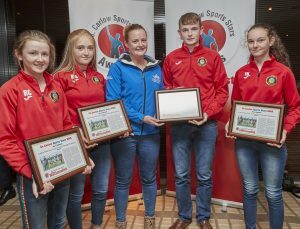 Equestrian awards also went to Sam Watson who was part of the Irish team who won gold at the world eventing championship, while Jason Foley was recognised for his European U18 show-jumping victory. 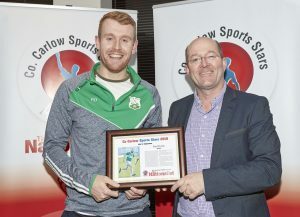 In Gaelic games, awards also went to St Mullins hurler Paul Doyle and O’Hanrahan’s footballer Marc Carpenter in recognition of their fine performances for their clubs in recent months. 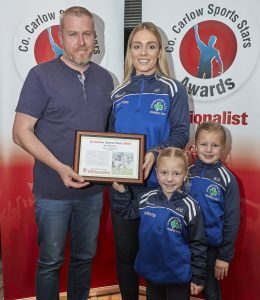 Rachel Sawyer also took home an award for her stellar performances in the colours of the Old Leighlin ladies football team. 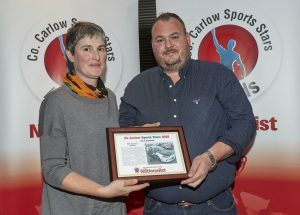 Maria Dunne took home the athletics award after winning silver at the world masters athletics championships while MJ Farrell and Richard Kearney were recognised for significant motorsport victories at Mondello in September. 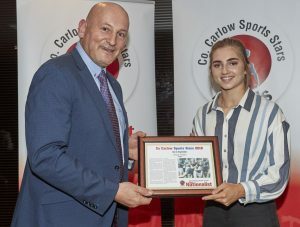 The rugby award went to Anna Doyle who captained the Ireland U18 Sevens team to victory in the Home Nations tournament in July. 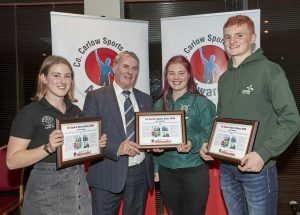 Rowing was recognised with awards going to Tom Connors, Olivia Neaves, Sadhbh Scully and Fintan O’Driscoll who each won gold at the national rowing championships in July, while Carlow sailor Finn Lynch was honoured after his recent race win at the laser world championships in Denmark. 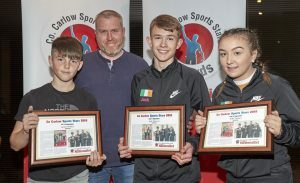 The boxing award went to Leinster and Irish champion Shane O’Brien while Jack Dawson, Jamie Walker and Billie Maher took home awards in recognition of their fine gold-medal winning performances at the recent world championships in Portugal. 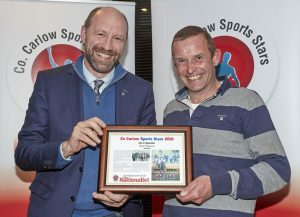 The next quarterly awards ceremony will take place in January with the overall awards for achievements in 2018 is set to take place in February.